Clayton, NC - A New Way Sidewinder XTR™ Automated Side Loader truck was delivered to its new home with the Anchor Disposal waste management service in North Carolina. The family-owned operation will greatly expand its residential waste pick-up services in Wake and Johnston County with the new truck. This is Anchor Disposal’s second New Way Sidewinder XTR. Manufactured to handle any environment, Sidewinder XTR is one of the strongest and most durable side loader refuse trucks in the industry. The truck features the ability to pack at a faster rate than any other side loader. Much of the truck’s convenience and efficiency comes from its standard equipment. Operators of the Sidewinder XTR are able to utilize a rear-view camera, ergonomic in-cab control panel and joystick, and new CANBus model diagnostic tools. Sidewinder XTR’s most prominent feature is the strongest reinforced frame-mounted arm on the market, which boasts a 12-foot reach while providing a very comfortable and smooth ride for the operator. 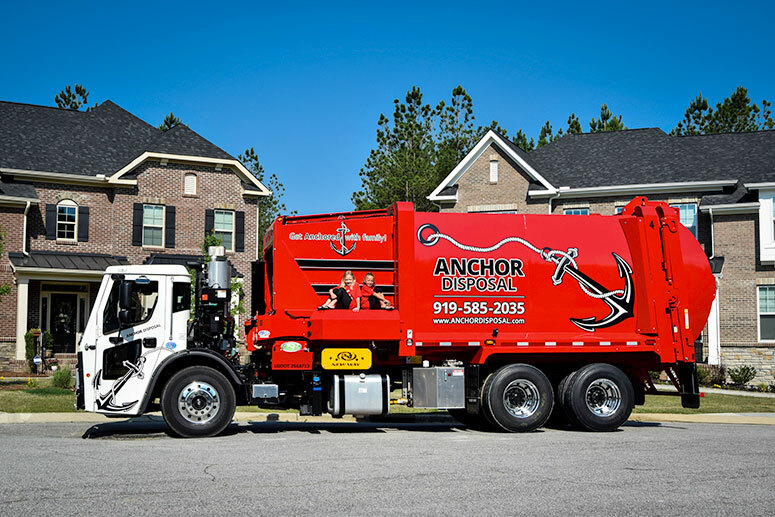 "We love everything about New Way, the history, the quality of the new truck, the customer service, what they stand for and their family values," said Kerri Mead-Bell, president and owner of Anchor Disposal. "They have us as a customer for life!" Anchor Disposal is a second generation family-owned and operated waste disposal company. The service has decades of refuse experience and know-how. Along with residential waste pick-up, they also specialize in bulk waste pick-up and recycling. Hundreds of residents in the communities of Archer Lodge, Clayton, Forest Hills, Knightdale, Wendell, and Wilsons Mills depend upon the company for their trash collection needs. Amick Equipment Company, a leading New Way Truck dealer located in Mebane, North Carolina, provides Anchor Disposal with critical after-sales service, support, and parts to keep their New Way equipment in top shape.